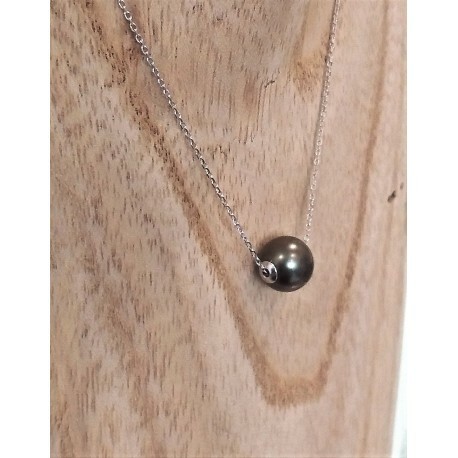 Vicki 18k white gold necklace with a Tahitian pearl. A delicate and classy, you will appreciate the Vicki necklace and its fine 18k white gold forçat chain. 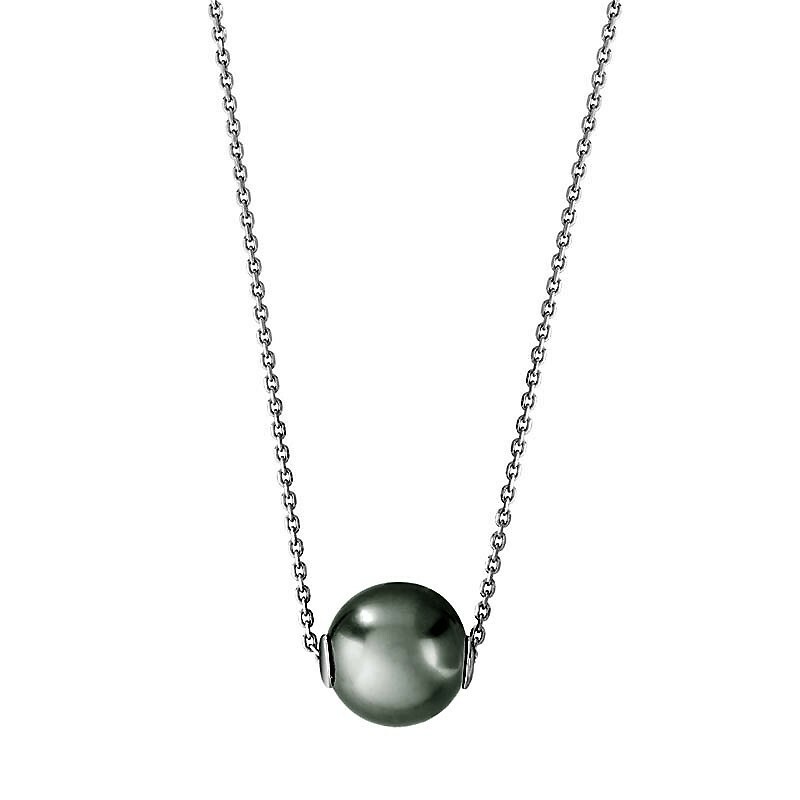 The Tahitian pearl serves as an anchor on the chain, held up with two 18k white gold cupolas on either side of the pearl, making it truly the centerpiece of the necklace. The necklace is 42cm in length, with the possibility of wearing it closer to the necklace at a length of 40cm with a ring built into te chain..
Roun Tahitian cultured pearl, 9mm in diameter and of AAA quality. By buying this product you can collect up to 37 loyalty points. Your cart will total 37 points that can be converted into a voucher of 10 €.